The notes to her can go on and on. Bitter or sweet, high or low she is the one we keep coming back to. This Mother’s Day put down your gratitude in writing in a limited edition Holii notebook. A first time release from Holii, the red leather bound notebook is embossed with cute jasmine flowers. 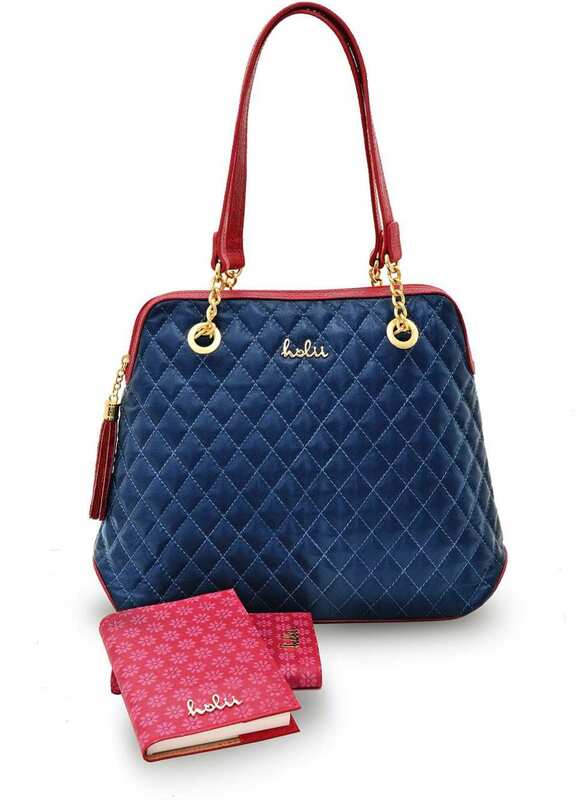 The notebook is priced at Rs.1675/- and this Mother’s Day it comes free with purchase of a Holii hand bag! Pick a handbag from Holii’s Mother’s Day special range, Paprika, to compliment the notebook with. Paprika is made in soft quilted leather that is bordered by matching red jasmine embossed leather. The golden glint of Holii metal label on the notebook matches flawlessly with metal fitting details of Paprika. So go ahead buy a spicy Paprika hot off Holii’s shelves, grab hold of the notebook and make her day special. Go on the internet and tell us how you made her made by putting the hashtag #celebratingmom. The offer is valid across all Holii outlets beginning from 25th April 2014.